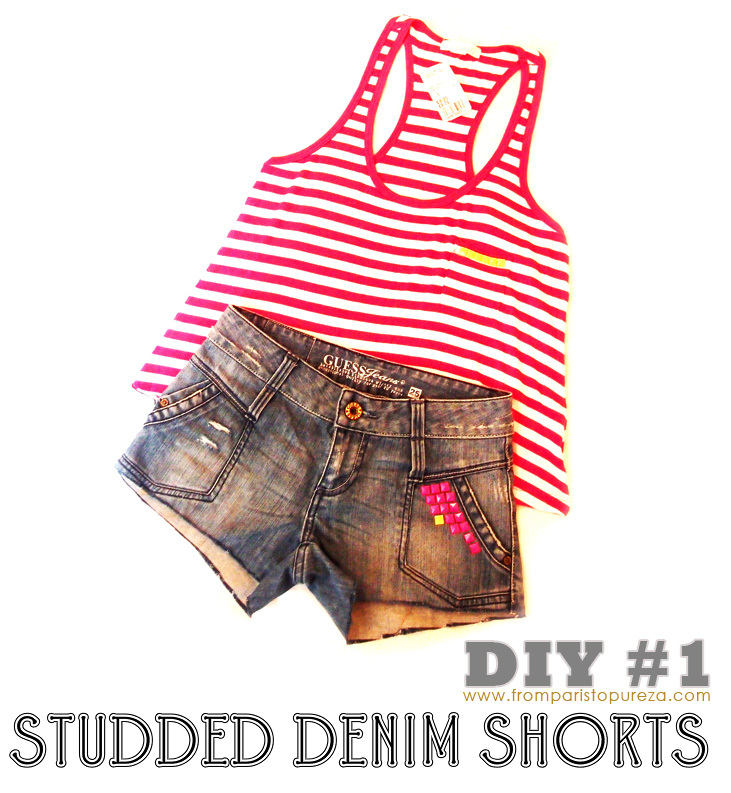 ~ Cut your denim jeans to your desired length. since it’s a bit uncomfortable. ~ Put the studs wherever you want it and how you want it to look like. I got these neon studs from eBay for 3usd for a pack of 100. ~ So that’s it! You are done! I got these two neon swing top from Forever21 few months ago but never had a chance to wear it. So I decided to put some studs on its pocket just to match my neon studded shorts! Yay! This post is quite late for summer... But who cares? It's never too late for creativity and for an old denim transformation. And I am really (really!) hoping for an indian summer or at least some sunshine for the first few days of autumn... Please, mother nature?